July was extremely warm and very poor in precipitation. It is evident from the mean temperature 20,72°C, which was nearly 2°C higher than the long-term average. The temperature exceeded 20°C in 21 days. There were 11 tropic days (maximum temperature 30°C or more). The especially hot weather was during the third decade of July with temperatures above 30°C. On 31st July the maximum temperature reached 36,2°C. The minimum precipitation amount contributed the unusual weather development. The aggregate rainfall reached only 13,8 mm which is just 19,9% of the common amount. At the same time the sunshine was very intensive and exceeded common figures by more than 70 hours. Extremely hot July weather without rainfalls influenced negatively the hop growth. Hop cones developed earlier and they are smaller due to the lack of moisture. 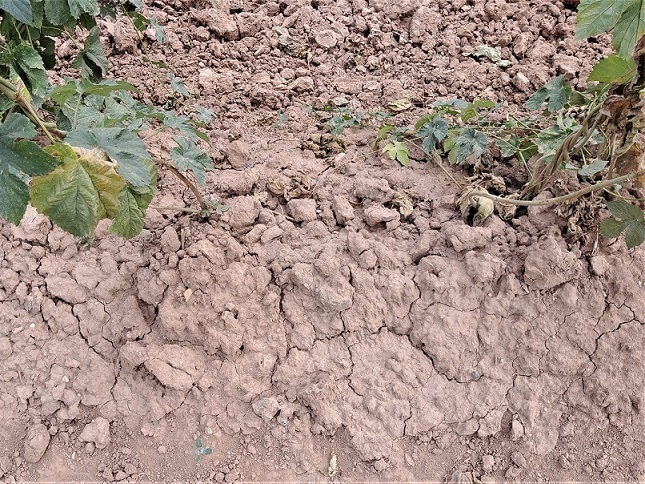 The cones are healthy in the majority of hop gardens, their premature drying up appeares just sporadically. The regular spraying and dry weather prevented hop leaves and cones from infection of downy mildew. The danger of damage caused by this disease is minimal. In consequence of hot and dry weather the red spider mite appeared in a small part of hop gardens. Considering the current state and long-term weather forcast the hop yield is supposed to be significantly lower than in last years. The start of harvest is expected about 11th August 2018 already.